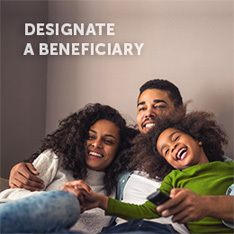 The San Francisco Employees’ Retirement System is pleased to offer to all members, 24/7 access to individual account information, online statements and forms, and for active members, a benefit modeling calculator. Register as a new user to access mySFERS for the first time. Registration is simple and secure. Registration is required to verify that you are a valid SFERS member. In the Log In box located on the Home page, select “Register Here” to begin the registration process. On the new page, in the Registration box on the right side of the page, enter the requested information in the fields provided. Note: enter your name as it appears in your payroll/pension record. Create a username that is easy for you to remember. Your username must contain a minimum of seven characters and any combination of upper and lower case letters, and numbers (dash (-) and underscore (_) are also permitted). You will be required to enter your username each time you log in to mySFERS. You can change your username while logged in to mySFERS once you register as a member. Create a password that is not easy for others to guess. Your password must contain a minimum of seven characters in any combination of upper and lower case letters, numbers and special characters. Do not use (“ or ‘) as part of your password, and do not begin your password with the pound symbol (“#”). A strength indicator is provided to help you create a password that cannot easily be compromised. Note: actual words or names (e.g. boy), or sequential numbers (e.g. 1234) as part of your password will not register as a “strong” password. You will be required to enter your password each time you log in to mySFERS. You can change your password while logged in to mySFERS once you register as a member. Your email address will be used for communication purposes only. Each member will have a unique email address that is not shared with another member (e.g. a spouse). You will enter your email address twice to confirm it has been entered correctly. We recommend using a personal email address although, it is not required. If you do not have a personal email account, and you would like to create one, click on “Don’t have an email?” below the registration form. You will be directed to a new window with a choice of email providers in order to create a free email account. 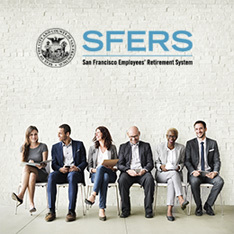 Once you have set up your new email account, you can return to the SFERS website to complete the registration process. Your cell phone number will be used for communication purposes only. Although providing your cell phone number is optional, we strongly encourage you to provide it as an added level of security, as well as an additional means to contact you. From the drop down menu provided, select a personal question. Then, type in the answer to the personal question in the field proved below. The personal question and answer is for security purposes in the event we need to verify your identity. Click the “Register” button at the bottom of the registration form. 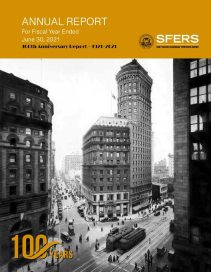 That’s it…you are now a member of mySFERS…the SFERS online member only community! 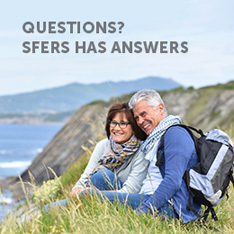 If you experience problems during the registration process, or after you are logged in to mySFERS, visit the mySFERS FAQ page under “Resources, FAQ” for assistance. If problems persist, contact us at sfershelp@sfgov.org.